Are you having a baby shower soon and you'd like to ask for a session as a gift? Is your friend or family member expecting a baby? For a present that will last generations, we offer Lemonshoots Gift Certificates. You can choose from $50, $100 or $200. Custom amounts are possible, but you'll have to order over the phone. We recommend buying your gift certificates well in advance to ensure availability for your due date. For babies that have already been born, please call the studio first. 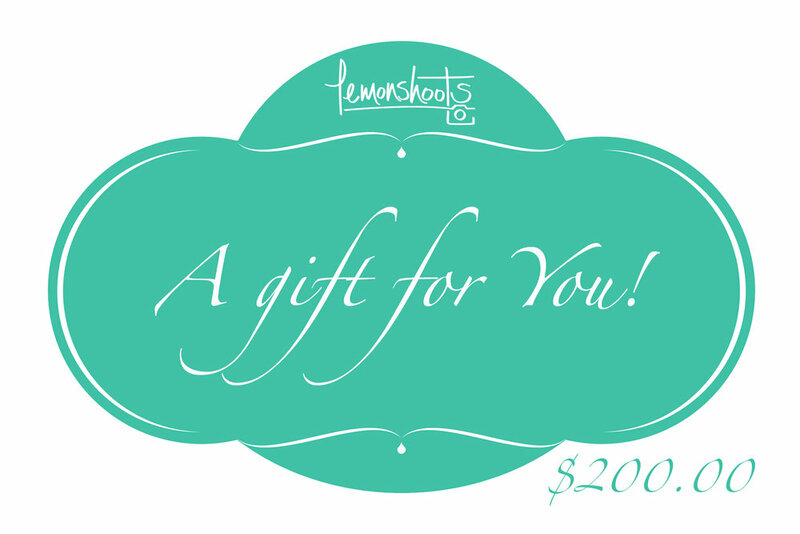 To buy your gift certificate, click on the amount you want.